When the mercury starts to climb during the summer, Knoxvillians love to flock to swimming pools, water parks, and far-away beaches for a respite from the steamy weather. But lesser known are some of the great swimming holes around Knoxville and its surrounding area. Old quarries, river inlets, and cascade pools all serve as resourceful aquatic accesses for those who want to take advantage of some of the most beautiful water around—without paying a dime. Ready to take a dip? Get inspired with this rundown of some of our favorite swimming holes near Knoxville. 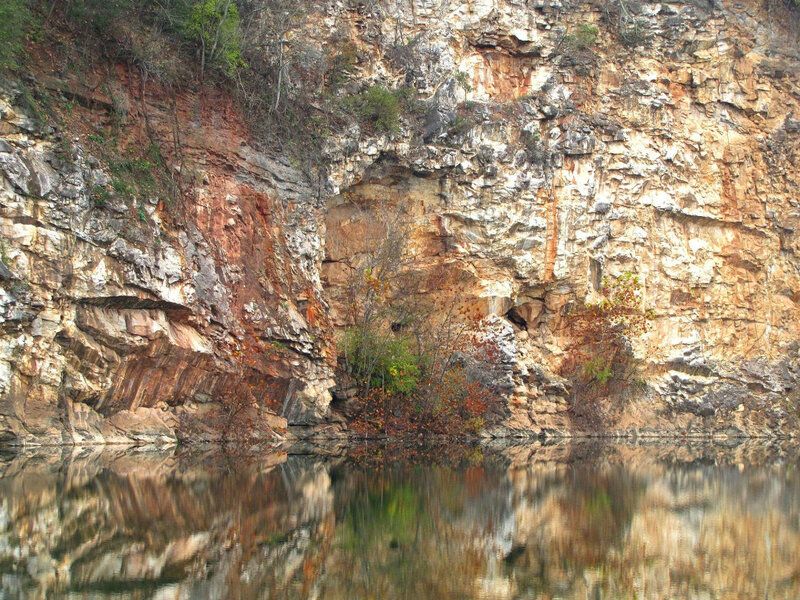 The quarry lake at Fort Dickerson is hemmed in by high cliff walls formed during the area's mining days. Now, the old excavation site is a huge glass pool that draws locals to cool off from the relentless summer heat. The entry point is a bit tricky to find if you don't know what you're looking for. A quick primer: Park at the dirt lot on the northwestern side of the park and walk down the wide trail, staying straight until you pop out near the lower cliffs where the locals like to jump. From here, follow the edge down to the water. There isn't much of a beach area here, so bring floats and noodles to drift around in the middle of the quarry lake. Mead's Quarry is in the heart of the Knoxville Urban Wilderness and surrounded by hiking trails, mountain bike singletrack, and riverwalks, with the Ijams Nature just a quarter mile down the Will Skelton Greenway. Take advantage of a designated swimming area if you're just looking to wade, or rent stand-up paddleboards to explore the far end of the quarry lake. More opportunities and amenities also means more regulations, however, and swimming outside the designated area or bringing your own boat or board are discouraged. Concord Park has a wide array of outdoor activities, but much of the summer crowd heads to the cove on Fort Loudon lake, where a nice beach welcomes waders into the water and kayakers and boaters have easy put-ins. Slightly inland are picnic tables, sand volleyball courts, a playground, and all the lake life charm required for repeat visits throughout the summer. 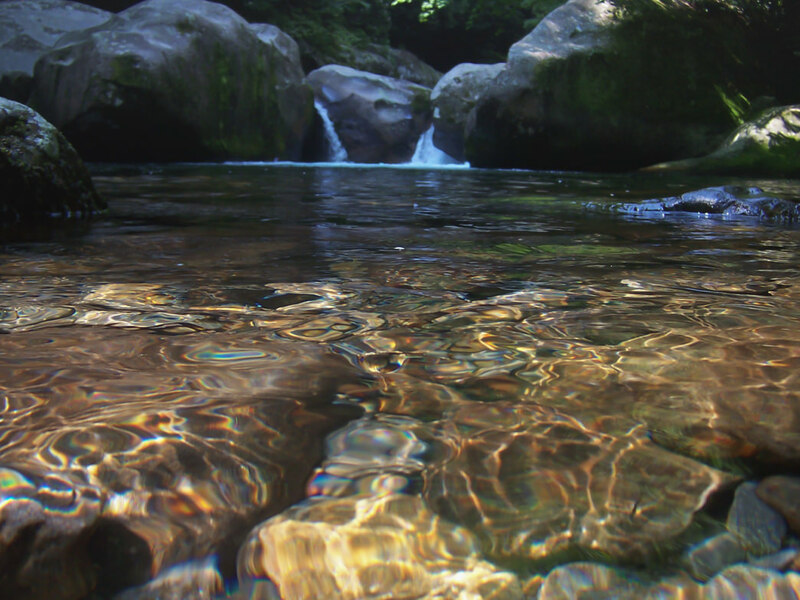 Just an hour from downtown Knoxville on the east side of the Smokies are the chilly waters of Big Creek , which gather into a deep plunging pool at Midnight Hole on their way deeper into the park. These mountain-fed rivers are cold year-round, which can be a nice respite after a steamy hike in the mountains, and the moderate hike in keeps overcrowding to a minimum. Just a half-mile down the trail at the Laurel Dale Cemetery parking lot, the Gentleman's Swimming Hole awaits along the Clear Fork River in Big South Fork National River and Recreation Area . The area is so named for the gentlemen from the neighboring town of Rugby who used to frequent the spot to cool off. Now it's open and waiting for savvy folks who know where to look. After you've taken a dip, you can head back the way you came or continue on toward the "Meeting of the Water" for an approximately two-mile loop. This one's about an hour and a half drive from Knoxville, and well worth the effort: It's one of the best waterfalls/swimming hole combos in the country. 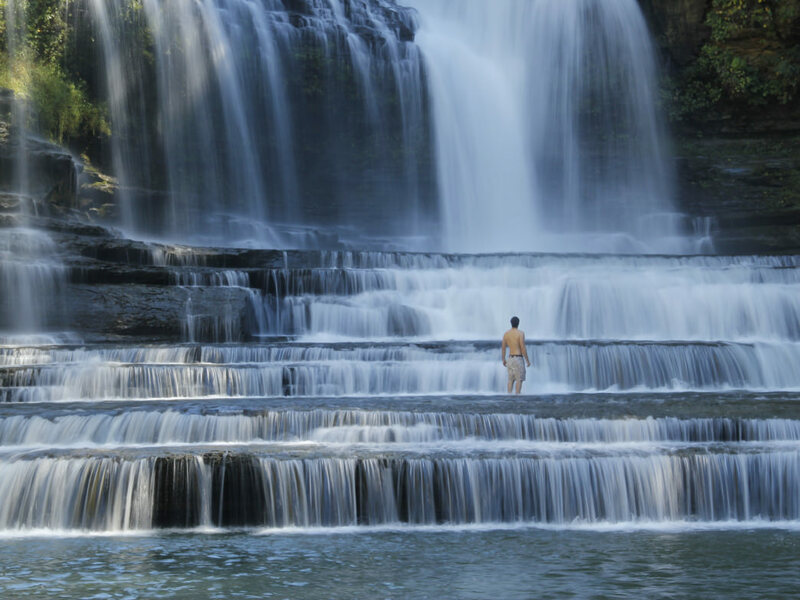 Just north of Cookeville are some of the most stunning cascades you'll ever see, with a huge pool at the bottom. The falls are, not surprisingly, extremely popular among locals on the weekends, so try to make your trip during the week to savor a little more solitude.